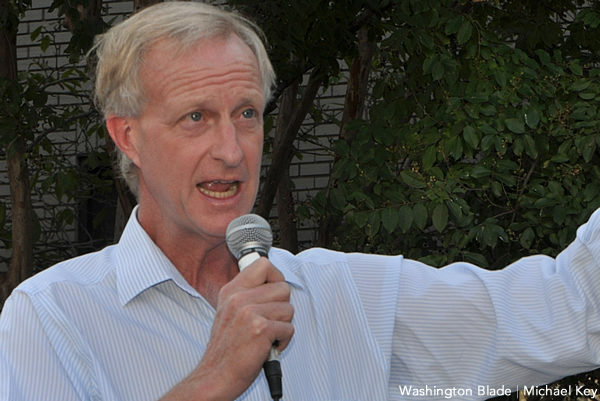 The blood-thirst of special-interest partisans attempting to force an ouster of D.C. Council member Jack Evans belies their transparent political intent. It reveals both lingering anger by far-left activists still stinging from the defeat of an entire roster of challengers citywide in last year’s local elections and a disguised attack borne of spending and policy disagreements. It’s a proxy war and, with any luck, it won’t be won by those waging it. The flashpoint was media discovery last month that Evans had utilized his office email and engaged a staffer, in violation of Council rules, when seeking to continue permitted outside employment with law firms to advise clients on local and federal government relations. In the awkwardly tone-deaf appeals to provide longstanding professional services while in the officially part-time position of citizen-legislator, Evans touted his prominence as influential city leader, Council finance and revenue committee chair, and Metro transit system board chair. It was a boneheaded and stupefying misstep for which he apologized and which resulted in a reprimand by the full Council. His colleagues also voted to temporarily reassign certain matters normally under purview of the finance and revenue committee he chairs. Evans is also currently the subject of a federal investigation regarding prior dealings with a digital sign company hoping to revise local regulations prohibiting electronic billboards. While residents await a determination whether he violated any ethical standards in proposing later-withdrawn legislation to permit such signage, Evans steadfastly maintains his actions were fully legal. These circumstances have so far failed to generate much traction among constituents or citywide for his resignation or removal from office. Public sentiment for reserving judgment pending results of the investigation and a wait-to-see appraisal remain prevalent. Currently the longest-serving local elected official, Evans has represented center-city Ward 2 since winning a special election in 1991. He remains popular in the downtown district stretching from Georgetown through the central business core and both Dupont and Logan Circle areas to parts of the Shaw neighborhood. Evans, a Democrat, has been strongly supported by the socially liberal and fiscally moderate residents in his business friendly and economically centrist district. He last faced a party primary opponent in 2008, winning easily, and has been re-elected without opposition in the last two general elections despite more than one-in-three registered ward voters not being Democrats, the highest non-majority-party percentage citywide. Evans is perhaps most respected for his leading role in helping to repair city finances and wresting back local fiscal control following a seven-year-long federal takeover due to the city’s financial meltdown in the 1990s not long after taking office. He has been a proven legislative leader, advancing one of the nation’s most progressive systems of tiered taxation, supporting policies and programs benefiting both residents and commerce, and a strong advocate of LGBT equality throughout his 28-year tenure. The Council voice demanding to know where the money is going to come from when colleagues propose new expenditures, Evans prompts cheers for calling-out lax oversight and still-high levels of agency “waste, fraud, and abuse” from the dais. It is that role and reputation as steward and safeguard of the District’s fiscal health and economic well-being that has caused a small gaggle of spend-big and tax-more activists to quickly pounce when thinking he may be vulnerable. As D.C. confronts a population growth slowdown and job creation decline, flat-lining government revenue and disappearance of surpluses, voters are rightly reluctant to lose the steady fiscal hand Evans has always provided. The D.C. CFO warns of economic “yellow flashing signals” and the city auditor cautions a proposed 8.2% spending hike is “not fiscally responsible” or future-sustainable. A 13% government employee increase during the last three years and a spending spree cost rising from $11,000 to $14,000 per person over only four years threaten recent tax reforms. Barring revelation of more serious misdeeds, Evans deserves to continue to serve and we deserve his continued service.